It is through a site audit that you get to know the reason behind a site not ranking well in search engine result pages and not only that you also deduce the way in which you can solve the prevalent issue that is keeping your site from reaching higher. As per what John Mueller has to say, fixing SEO problems like accelerating the speed of the site, adding title tags, enhancing the inbound links that are performing poorly are few vital steps that need to be done immediately. However he also says at the same time that adding the right keywords and title tags are steps that can be termed as short-term thinking. It is vital to think of technical SEO but when you perform a site audit, it can move further to recovering a site and also enhancing its ability to generate leads. Read on to know what Google does while it ranks different websites so that you can apply them while doing a site audit to boost leads and sales. The above listed 4 factors constitute what is called technical SEO which helps in forming a healthy website. But unfortunately, this won’t help you in accomplishing more leads and sales. 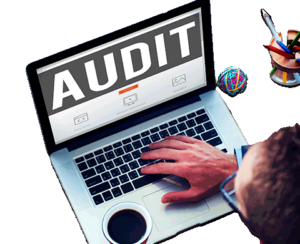 Mentioned below is a list of factors which needs to be incorporated in a leads and sales focused website audit. Keywords are always a part of technical SEO audit. On the other hand, an audit which is mainly focused on leads and sales will sort them according to their usefulness for conversions, value of building awareness and value which leads to sale. You have to identify the ability of the keywords to convert sales. There are few keywords which are not relevant to the goal of converting the visitor of a site to a lead or a sale. There are cases when such irrelevant keywords lead to poorly written content that’s tied to a content marketing effort. Ultimately, the main objective of your content marketing shouldn’t be obtaining links. Obtaining links is only a means of obtaining the goal in an easier way by increasing leads and sales. Recognize webpages: Match the keywords to webpages to which the search engines are referring to. Determine usefulness of a page to keywords: A reason behind businesses experiencing controlled conversions and sales is that the webpages are not ranked highly. Due to some kind of problem in the content, they might not be optimally ranked. Architecture of site: Architecture of the site is a portion of technical SEO but it can play a vital role in how a webpage ranks. The main thing is to make sure the vital pages are linked from home page or via other navigational elements. Did you ever audit your website and yet find your rankings remain unchanged? A technical SEO audit which focuses on keywords will not take you far. Take into account the strategic insights which can assist a website in recovering the rankings.